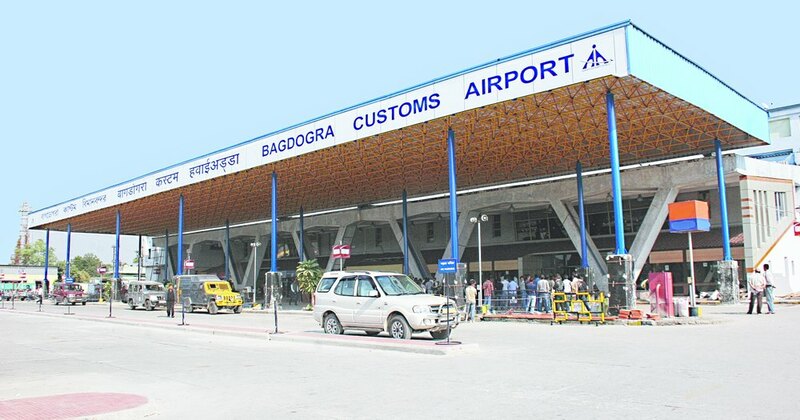 The Airports Authority of India (AAI) has sent a detailed report to the Bengal government on the design of the proposed terminal building and ancillary infrastructure at Bagdogra airport, for which land would have to be acquired. AAI officials said infrastructure expansion of the airport, used by tourists travelling to north Bengal and Sikkim, had become essential because of an exponential rise in the number of passengers over the past five years. The state government will take back land that had been leased to a tea company. The AAI has agreed to pay Rs 25 crore to the company as compensation. “We will have a larger terminal building and a parking Bagdogra airport area for vehicles. Also, the number of bays for parking the aircraft will be increased,” said the AAI official. The AAI has been in constant touch with the state government about the land. “The state government has agreed to acquire 110 acres for the expansion of the airport. The government had sought detailed information from us, including drawings and designs of the proposed terminal building, parking space for cars, parking bays for aircraft and other infrastructure that would come up. Those details have been sent to the AAI’s regional office in Calcutta, which has forwarded them to the state. We hope the process of acquisition will be expedited and we will get the land soon,” said an AAI official at Bagdogra. Since 2013, when the Bengal government announced a waiver of the surcharge on aviation turbine fuel (ATF), the number of flights has gone up in Bagdogra. The airport handles around 33 flights a day. In the last fiscal, the number of passengers crossed 2 million. The current terminal building, AAI sources said, can handle around 400 passengers an hour. But given the rise in the number of flights, the airport needs a building that can accommodate around 1,000 passengers an hour. Ahmedabad is the latest metro to be connected to Bagdogra by a direct flight. “Ahmedabad is the eighth metro of the country to have direct connectivity with Bagdogra. There are also proposals to start flights to Jaipur and Patna and some airlines have shown interest,” an official said..